Well, it has been a fantastic week touring Burgundy’s wine regions. My bold plan to post after each day’s visits ended as it started – a bold plan. Instead, it proved to be an extensive week of learning, wine tasting, vineyard and winery visits, supplemented by an even more extensive diet and spun together by particularly sunny and warm weather and long evenings. Any complaints I realise are therefore deserving of the smallest of the violins. In terms of wine, it was a reminder that there is just so much to know, and inevitably full knowledge eludes most, me most definitely included. To follow over the next week or so will be my various notes and thoughts from the trip, which are hopefully of interest. Cycling particularly early on Sunday. I won’t comment on the airline wines tasted, other than to say that a Californian merlot probably shouldn’t be found on a plane leaving Australia. Or perhaps it should be. 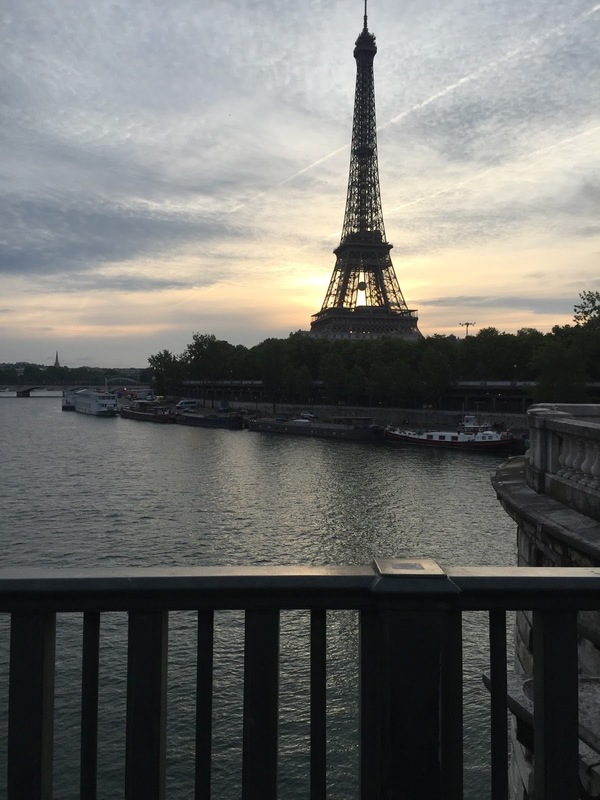 Arriving in the Paris evening, the senses slowly returned after a brief excursion into incomprehension with daylight at 9pm and the vivid aromas of summer after weeks of cold and dark in Melbourne. After navigating the seemingly customary traffic gridlock on the périphérique, eating became a priority. On a Saturday night in Paris, this proved an unusually easy task. After a rudimentary check, I found myself commuting the grand distance of 50 metres to the reliable bistro in the 6th arrondissement, the Relais Odéon. The food as might be expected is standard bistro fare, and the wine list basic sorted by regional styles. Regional styles of France, that is; foreign wines are just that. A generous pour of the Domaine du Haut-Machard Montagne Saint-Émilion, vintage unnoted, proved perfectly satisfying, albeit the generous size of the glass seemingly in suspiciously direct proportion to my weary appearance. Paris on Sunday might be neatly summarised as “more or less closed”. Boulevard Haussmann and the grands magasins? Closed. Supermarkets except for the itty bitty ones? Closed. Rue de Rennes? Closed. Wine bars and shops? With one or two exceptions with visibly hopeful proprietors, closed. I could go on. Nonetheless, the tourist districts around Boulevard Saint-Germain and the Champs Élysées were in full swing, the Sunday “bio” market along Boulevard Raspail ever bustling and the Paris area hire bikes a brilliant way to spend a morning. I found myself on Sunday for dinner in a different but equally close bistro, the Restaurant Pères et Filles. Almost immediately I regretted the choice upon reviewing the “by the glass” wine list: the customary excursion in French wine regions, albeit on the modest side of attractive. It provided a brief insight into raspberry and cherry flavoured rather middling (red) 2011 Anjou Villages from Domaine de la Motte and a most clearly oxidised Côtes de Blaye that I didn’t have the heart to return. Happily, however, the service was friendly and the food “good ordinary” bistro fare. Jet lag shrugged off, next stop Chablis. Your post has ticked my interest as we will be visiting France for the first time in September. Apart from the usual touristy side trips we will be spending some time in Reims Beaune and Bordeaux. I am looking forward to your future posts. Bill. Thank you kindly Bill – with a bit of luck, I'll have them all up in the next week or so.